Roberto de los Santos de Jesus, "El Bukanas", is responsible for the sabotage of the railway tracks and the looting of the goods transported by the trains, in addition to the theft of their fuel. The State of Puebla has the highest incidence up until June of this year more than in all 2017 were reported. From January to June of 2018 more robberies were committed to trains than in all of 2017. According to the Railway Transport Regulatory Agency (ARTF), last year there were 1,552 thefts, both to trains and to roads (cables, components and diesel), while in the first half of 2018 : 1,861 have been reported. Information from the ARTF, a decentralized body of the Ministry of Communications and Transportation, details that Puebla is positioned first in incidence, reaching 271 events in the first half of the year. 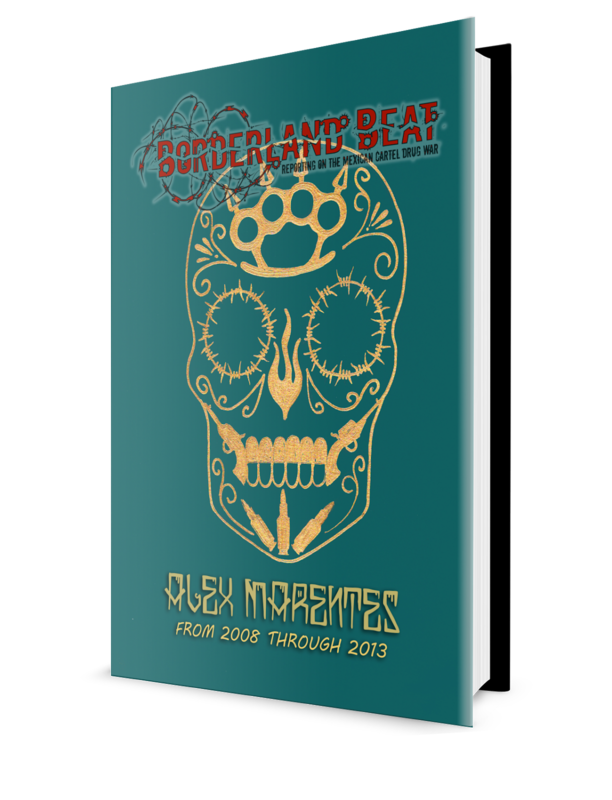 Meanwhile, Jalisco and Guanajuato recorded 169 robberies, respectively. 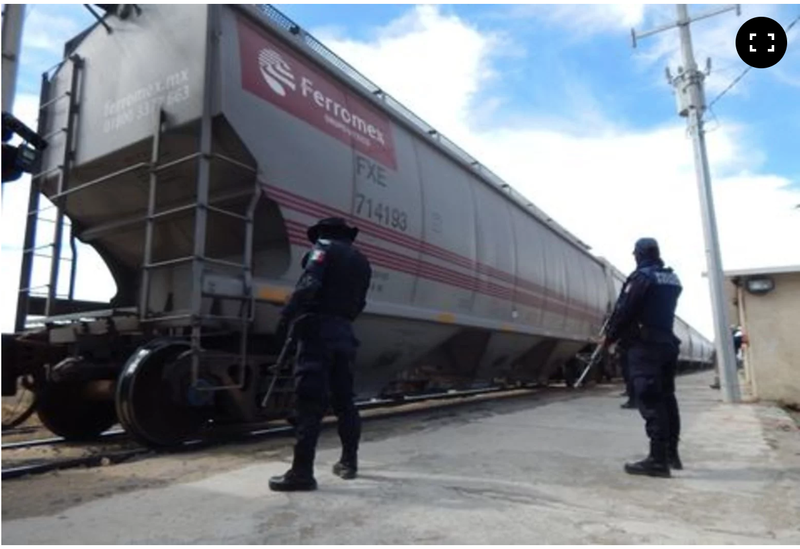 The Attorney General's Office (PGR) received 252 complaints of rail robbery so far in EPN's six-year period, which are concentrated in Izúcar de Matamoros, the city of Puebla and Tehuacán. According to information from the PGR delegation in Puebla, in Izúcar de Matamoros 30 complaints have been accumulated, all of them occurred in 2017, while in the city of Puebla 154. The highest number of complaints in the state capital, 76, was received in 2017, that is, more than double than in 2016, when 35 events were given. Meanwhile, in Tehuacán, 68 robberies were reported to trains during the sexennium (6 yrs). There the trend skyrocketed in 2018, reaching 37, compared to 2017, when the delegation received 15. When the figures are broken down by year, it is mentioned that in 2014 they received no complaints, in 2015 they were 38, 36 in 2016, 121 in 2017 and 56 in 2018. The report of the ARTF indicates that in the first semester of 2018 there were 4, 927 acts of vandalism to the railway system of the country. At the end of 2017, the agency reported more than 10,000 acts of vandalism, that is, an average of 29 events each day. 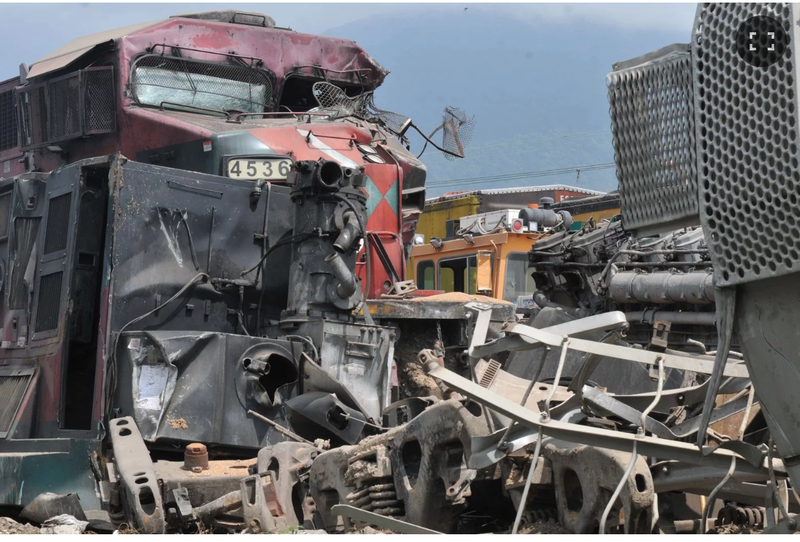 According to information from last May of the authorities, the organization of Roberto de los Santos de Jesus, "El Bukanas", is responsible for the sabotage of the railway tracks and the looting of the goods transported by the trains. The criminal group operates in the limits of Veracruz and Puebla, a place that it knows well, since it is also dedicated to huachicoleo in the pipelines of Petróleos Mexicanos, PEMEX. The organization is also known as the "Sangre Nueva Zeta" group. Another band dedicated to the theft of trains is "Los Rosas", integrated by former elements of private security. Eduardo Solis, president of the Mexican Association of the Automotive Industry, said that they made a call to better protect the railways, where 70% of the industry's exports are moving. 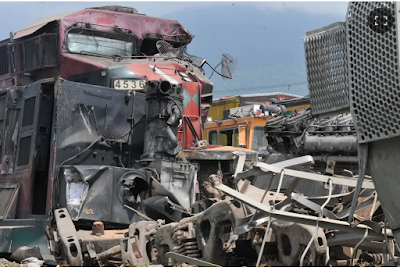 The automotive industry loses millions of dollars from the theft and vandalism of trains in Mexico, so they called on the federal and state governments to coordinate better with the railway companies and their customers to attack this problem, said Eduardo Solis , president of the Mexican Association of the Automotive Industry (AMIA). In a meeting with media this Tuesday, the representative of the sector said that they have already made requests to the Secretariats of Economy and Government , as well as to the Federal Police, to better protect the railroads, which are the routes through which 70 percent of Industry exports. "The states where the largest number of incidents we report are Guanajuato, Querétaro, State of Mexico, Veracruz and Puebla, and in the north is Coahuila and Nuevo León, " the executive explained. They refer that criminals climb to steal the parts of the cars, such as mirrors, headlights, tires, doors, seats, among others as the keys, leaving some cars completely unusable. "There are also stretches where trucks, ie car haulers, are assaulted, they all witness what causes these problems. When the blockade was in Michoacán, I completely stopped operating the automotive plant in the State of Mexico, the situation is so serious , " said Solis. 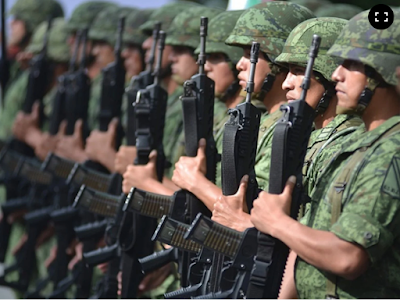 The Mexican Army will install a base in Acultzingo with elements of Military Police and regular troops, supported by State and Federal Police, explained former governor Miguel Ángel Yunes Linares of Veracruz. A base of the Mexican Army will be installed in Acultzingo , in the central mountainous zone of Veracruz , known to be one of the red lights in terms of the theft of railroad merchandise. "Starting tonight the Mexican Army will install a base in Acultzingo with elements of Military Police and regular troop, supported by State and Federal Police, to monitor the high part of the road, we will also establish communication with the government of Puebla to analyze possibility to carry out a similar operation, "explained Miguel Ángel Yunes Linares, governor of Veracruz, after the May train track sabotage and subsequent derailment. Armando Vázquez Gámez, stepson of the mayor of Acultzingo René Medel Carrera, is a member of the band "Los Rosas", according to the structure presented by the state government. "We will proceed against any person regardless of their close or distant relationship, what we have accredited is the information that was released in the flag room a few days ago, are the people already identified," said the governor. The governor of the state insisted on the reward of 5 Million Pesos to anyone who provides information about Roberto de los Santos de Jesus, alias "El Bukanas", leader of one of the criminal cells dedicated to stealing railway merchandise. The permanent surveillance program that will be put into operation throughout the country's rail network will reduce derailments and assaults on freight trains in Mexico, acknowledged the leader of this union, Víctor Flores Morales. He stressed that the demand of rail workers to expand and strengthen security in all transfers has already been heard and will begin to be addressed by companies and the government. Just like dealing with high seas pirates, start fortifying the trains and blasting fools who dare to try. Send out posses to apprehend soon after the incident- quick reaction forces. This is 10 train robberies a day - I've never heard of a train robbery in the USA since the wild west. This is crazy! 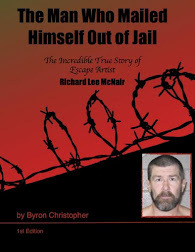 Wow holy Macrol 1800 robberies, and what was the government doing nothing until now, military is acting. Mexico what a disgrace, becoming like Brazil. My new hobby is robbing trains, chances of getting caught, 1/1000. Killing people1/1000. I thought he was dead? El Bukanans?